Once you’ve removed the junk and papers from your desk, it’s time to sort. Make a pile for things you want to keep and make another pile for things you can trash. Be honest with whether or not you actually need something – including tossing pens and pencils you don’t use. This was a hard step for me because I have some nice colored pencils that I bought a few years ago, but if I’m being honest, have only used once. I usually grab a separate garbage bag for all the trash I sort out and once it’s in the bag, that’s IT – no regrets. If you’re like me, the fastest way to a messy desk is from piling papers upon papers. Plan ahead and figure out how you want to sort your paperwork. Examples are outgoing mail, papers to be filed, documents for shredding, and school paperwork. 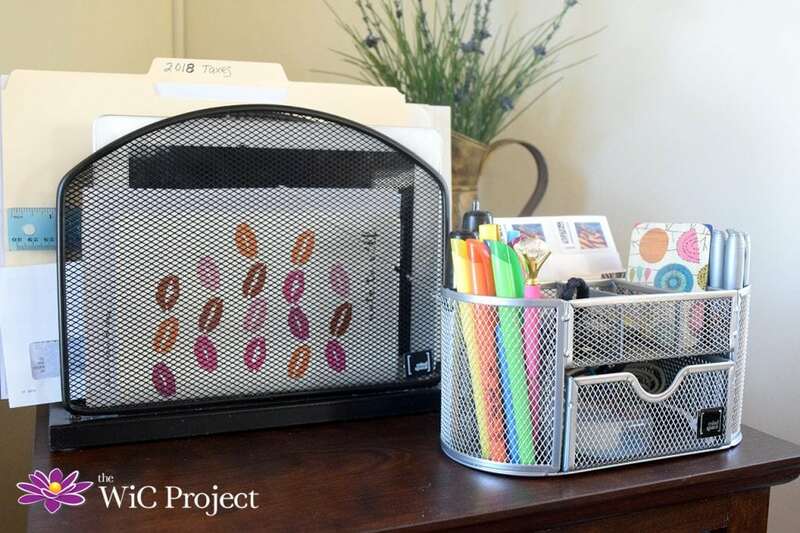 Mindspace has this great Desktop File Organizer Sorter from their mesh collection that is ideal for keeping documents organized. I like using the Mindspace Compact Desk Organizer. It has 4 sections to hold pens, pencils, scissors, and other tools (two on either side,) along with sectioned bins on top and a drawer. 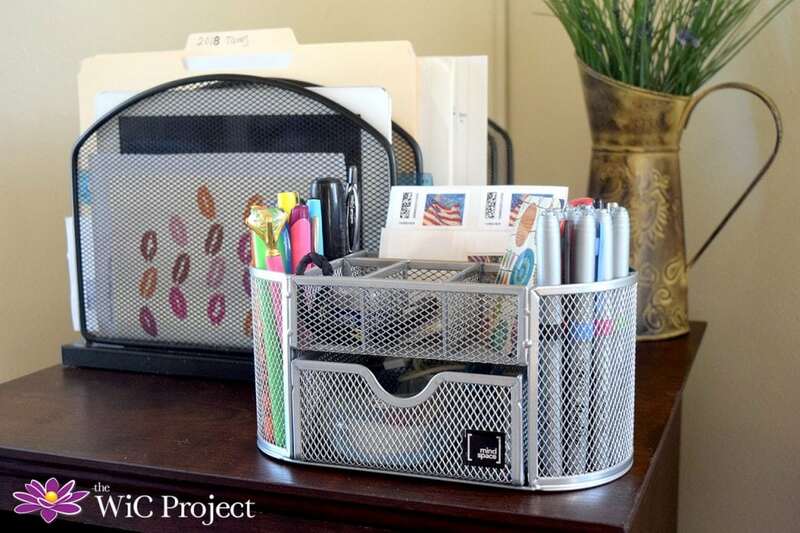 It’s perfect for keeping the desk clear of small items. Before putting everything back on your desk, take a step back to consider how you want to organize your workspace. Keep the essentials nearby, possibly tucked away in a top drawer. 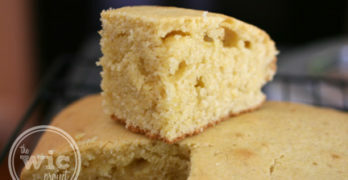 Things that you use only occasionally or other clutter can be stored out of the way, like in a bottom drawer or closet. 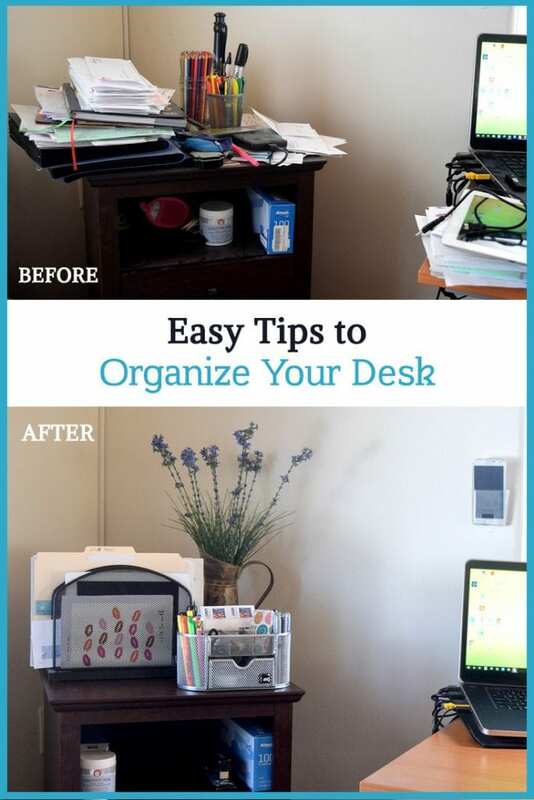 With just a bit of time and some organization, you’ll get your desk organized and ready to help you work more efficiently. Visit www.mindspaceny.com to find a great collection of products to help organize your desk and various other rooms of your home. You can also conveniently shop Mindspace on Amazon. It would help if I had a dedicated desk space. Most of my writing takes place at either the kitchen table or dining room table. I did organize some stuff in December.